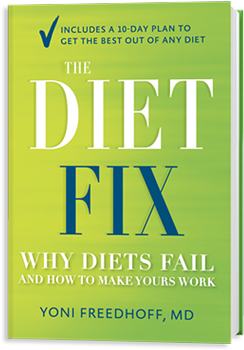 What misconception about dieting do you think causes the most damage? The most damaging misconception about dieting is that our weights should all be “ideal” and that scales not only measure pounds, but also possess the ability to measure the presence or absence of health. It’s those messages that lead dieters to undertake wholly nonsensical approaches to weight management, and they also serve to help fuel society’s hateful weight biases. What is the most important factor in sustaining your weight? The most important factor in sustaining your weight is not just tolerating, but actually liking your life and being both consistent, and, believe it or not, imperfect. Truly, your job in regard to both weight and health is to live the healthiest life that you can enjoy - in other words, to do your best. That said, it’s important to note that the best you can do over say, Christmas or a vacation, is very different than the best you can do during a plain, old, boring week, but that also doesn’t mean you shouldn’t still be thinking about things. Given our modern day Willy Wonkian food environment, not paying attention, for many, leads to easy gains, and given it’s so much easier to gain than it is to lose, remaining thoughtful, but not blindly strict, and doing so consistently, is crucial. Putting this another way - the healthiest life you can enjoy still needs to include chocolate, but that amount of chocolate needs to be the smallest amount that you need in order to be happy, and that amount changes day by day.